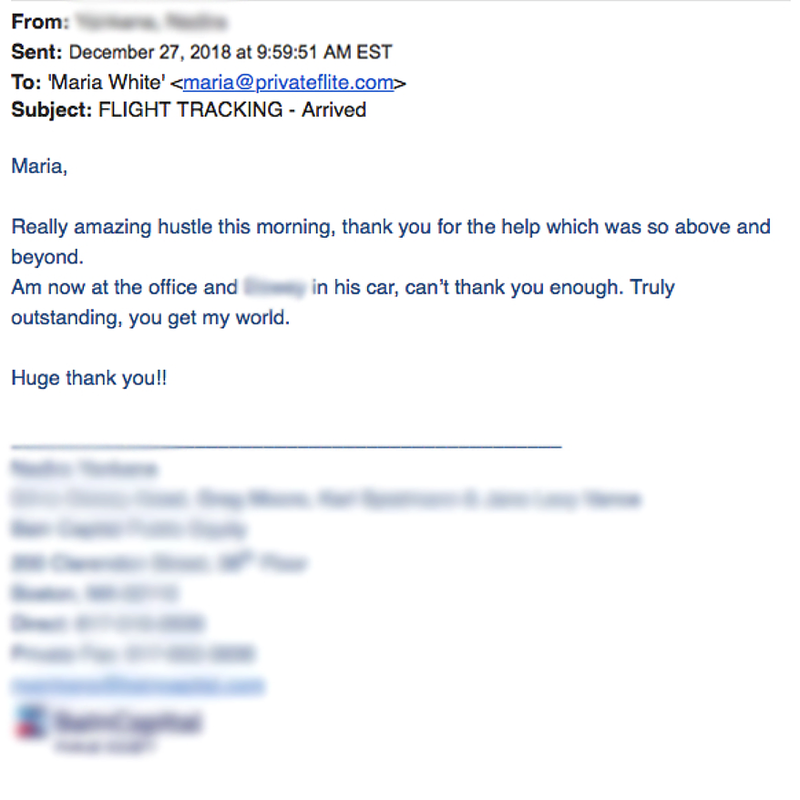 Private FLITE offers a level of personalized service that is unrivaled, and competitive pricing on a wide selection of quality, late-model aircraft. From your first conversation with our firm, we take great pains to understand your specific needs and preferences in order to consistently deliver flawless experience after flawless experience. 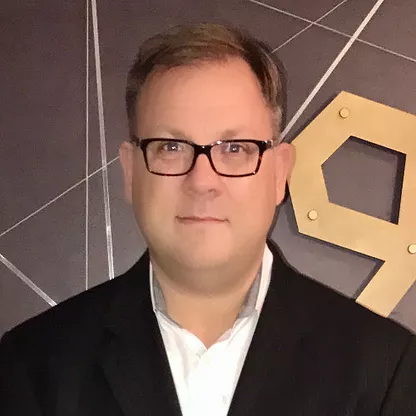 Justin is a seasoned private air charter executive, entrepreneur, and airplane junkie, with a long track record of delivering innovative products and services, happy clients, and strong investor returns. Justin was the VP of Sales of OneSky Jets (now Sentient Jet) and head of sales for Dumont Aviation. A recognized private aviation thought-leader, Justin possesses a rare combination of professionalism, depth of industry experience, and a healthy obsession with providing only the very best in customer service. Justin earned his business degree from Bentley University. He lives south of Boston with his wife Jackie and four children. Flight profile: The Company owns a Citation XLS to fly the CEO and Founder on a mix of personal and business trips across the country. The aircraft flies about 350 hrs per year. Problem: The Company's Citation was due to be down for a 3-month overhaul, and the so needed to secure alternative lift for the CEO. The Company plane was also frequently used by the President and EVP to meet with clients, causing schedule conflicts and ultimately forcing more charter for supplemental lift. Solution: Given the heavy usage, we negotiated a 3-month wet lease on a 2006 Lear 45XR, and supplemented the Pilatus PC-12 for certain short missions without the principal owner. Value: Created a net cost savings of $125,000 compared to Jet Cards for the 3-month supplemental lift, with consistency of aircraft and cut the charter cost for the President and EVP by 40% per hour. Flight profile: Short trips along the East Coast, between home in New York City and tour events across the country. Our client flies commercial for long flights, but requires a private air solution to fly from commercial hubs to tour events. Problem: Jet Charter is often out of budget. 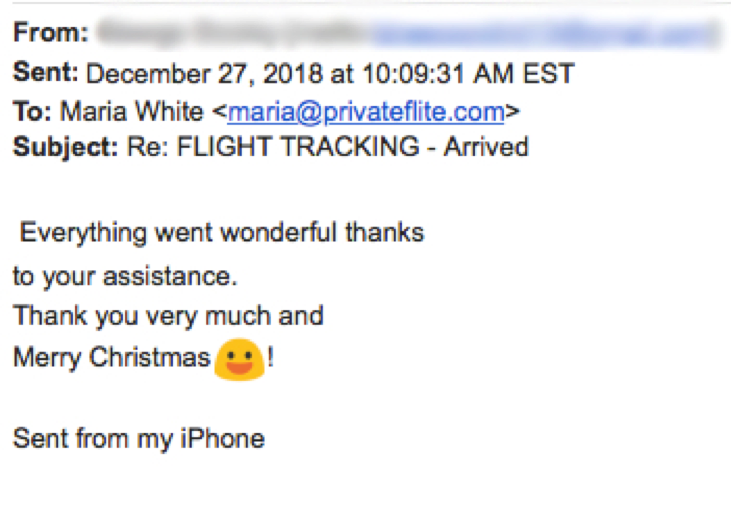 FLITE Solution: Client has standardized her private air travel on FLITE. Value: Overall spend on private air is down almost 25% since our client introduced the Pilatus option to the travel mix. She’s now a winner on the airways as well as the fairways! Flight profile: For a family wedding, Ben and two others want to originate in White Plains and pick up another three people in Martha’s Vineyard before flying to Burlington, VT and return. Traditional Solution: Moving six passengers and luggage would have required a Hawker 400XP or larger at a cost of over $20,000. Value: Ben saved almost $5,000 compared to a jet and enjoyed a memorable family experience. Flight profile: Travel between his home in Virginia and his company’s headquarters in NYC 2-3 times per year. In addition he frequently needs to bring along his team of portfolio analysts to client meetings all along the East Coast. Problem: There is limited commercial service near home in Newport News and the cost of jet charter for these missions is hard to justify. FLITE Solution: Standardize on FLITE Air Taxi for all of his private air travel. Value: Overall flying is up from 15 to 25 hours per year, and overall spend is down slightly compared to jet charter. CEO of a Florida-based investment firm. Flight profile: Marc travels between his homes in West Palm Beach, Fairfield County CT, and Nantucket, and travels frequently to Saratoga Springs, Lexington and Louisville for horse racing interests. Annual flight time: 50 hrs, all charter on a Citation V (light jet) through a local (NJ-based) aircraft charter company. Problem: Marc is paying too much. Most of his trips are point-to-point one ways, which Marc’s provider is unable to accommodate cost effectively. Replace the light jet with a Pilatus for all flights between Saratoga Springs NY, White Plains and Nantucket. Take advantage of fixed-rate light jet one-ways between New York and Florida. 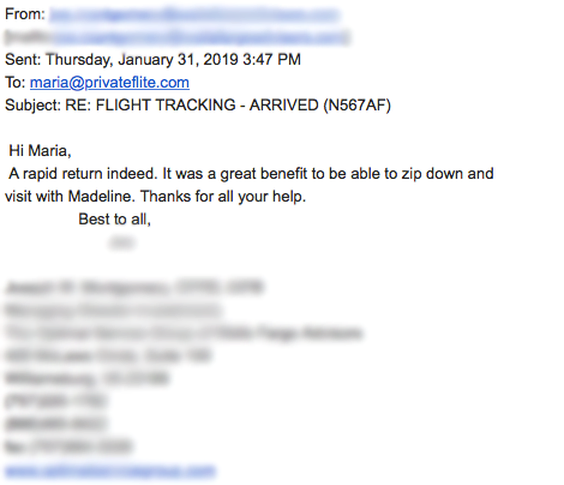 Value: The Pilatus has replaced around 60% of Marc’s light jet travel, with (given the reposition fees that his local charter operator was charging) savings in excess of 60%. 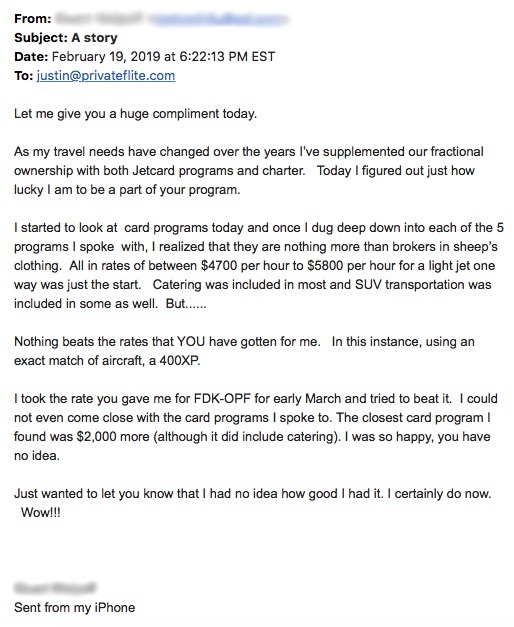 For other trips that suit a jet charter, Marc is saving approximately $1,800 per hour with FLITE. Value: John saved $20,000 on the same aircraft. Flight profile: Brian takes frequent trips between Chicago and business interests predominantly in New York, Dallas and Seattle. Approximately 35 hours per year. Problem: Brian spends approximately $320,000 per year for this service on the Hawker 800XP. 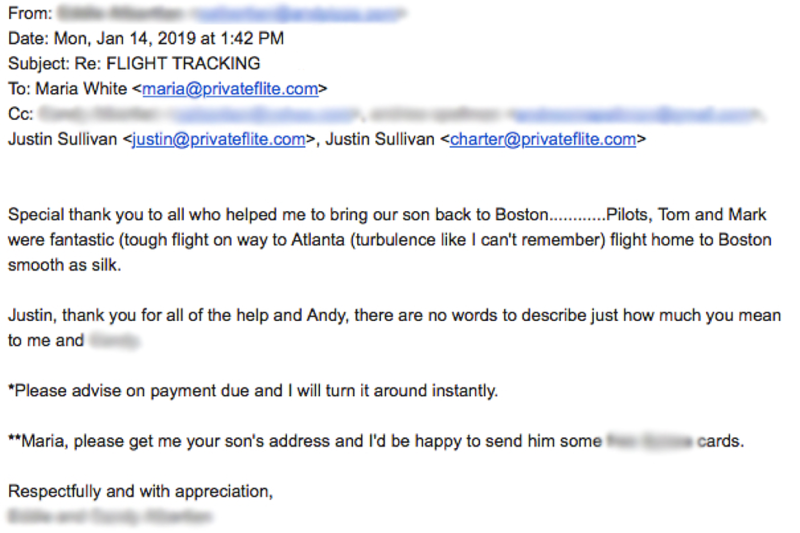 Brian partnered with FLITE to drive down his cost of private aviation. Solution: We recommended that Brian focus the use of his fractional share for short flights with a longer stay, and look to our Preferred Partner Network for other trips. Use FLITE Air Taxi Pilatus for short-haul trips, including his satellite office in Gaithersburg, MD. Value: Overall private jet spending is down about 35% compared to exclusively using Fractional. PrivateFLITE is not associated with any of the programs mentioned above. 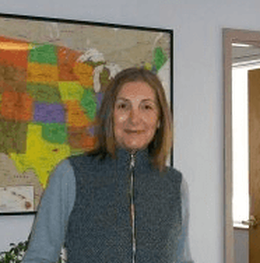 Maria has has over 20 year's experience in managing highly complex, ever-changing travel arrangements for discerning travelers worldwide.Maria also worked as a logistics specialist at Private Jet Services Group, and head of owner services at Dumont Aviation. 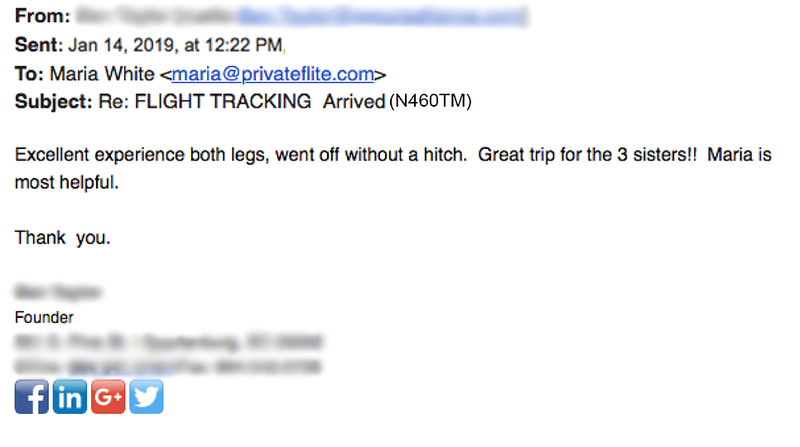 Regular travelers describe Maria as being our "secret weapon."